Tom Wisner (1930-2010) was an environmentalist, folk singer and educator popularly known as the "Bard of the Chesapeake" from his life-long work in documenting and preserving the culture and botanical life of the Chesapeake Bay watershed. An Air Force veteran, Wisner earned his bachelor's degree in biology from Hartwick College in New York with the help of the G.I. Bill. After working as a naturalist in Sequoia National Park in California, Wisner taught high school science in southern Maryland during the mid-1960s before taking a job as an educator at the University of Maryland's Chesapeake Biological Laboratory in Solomons. It was here that Wisner began to integrate art and music into his educational programs. He would go on to record several albums, all of which focused on his love for and knowledge of the Chesapeake Bay. Wisner also recorded the oral history of southern Maryland, including interviews with fishermen and traditional music of the region. In 2000, he helped found the Center for the Chesapeake Story, or Chestory, in Solomons, which is dedicated to preserving the history of the region and the bay through the arts. Wisner was recognized with numerous awards for his work on behalf of the Chesapeake region, including the World Folk Music Association's John Denver Award in 2002, the Outstanding Marine Educator of the Year Award in 1989, and the Parent's Choice Award in 1984 for his album We've Got to Come Full Circle. 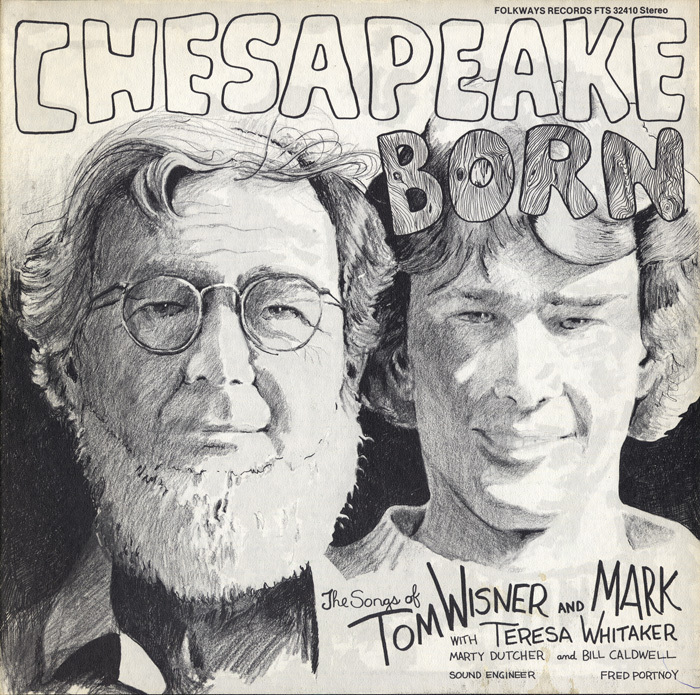 In 1986, National Geographic aired a television special entitled Chesapeake Born, which featured Wisner's music. Tom Wisner died of cancer on April 2, 2010. The RRFAC acquired the Tom Wisner Papers in 2010 as a donation from Tom Wisner upon his death in 2010. The collection, which dates from 1968-2008, documents his professional activities. The collection includes original writings, correspondence, business papers, and audiovisual materials related to Tom Wisner’s commercial recordings, his personal commercial music collection, documentation of the culture heritage and natural environment of the Chesapeake Watershed, recordings of Chesapeake Watermen, environmental programs and performances, recordings of artists with whom he performed, as well as his radio broadcasts on WRYR 97.5 F.M.